About Us – Identity, Inc. Identity is a safe place. 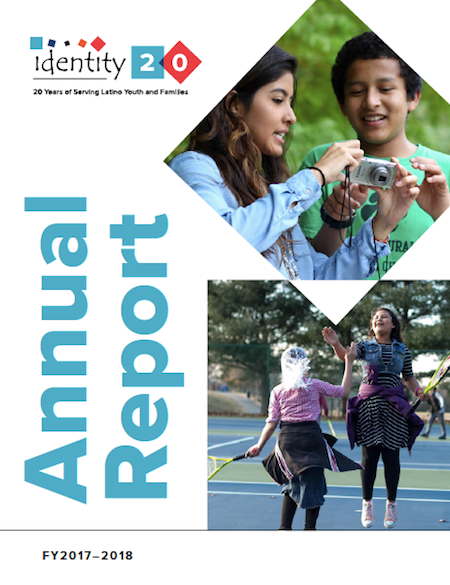 Each year, Identity assists more than 3,000 in-school and out-of-school youth and their families who live in high-poverty areas of Montgomery County and who are most at-risk for poor academic and economic life outcomes. We empower Latino youth to reach their highest potential and work towards a successful transition into adulthood. Watch our new video to learn more about what we do from some of the youth we are privileged to serve. Why are we called Identity? The name Identity is a reminder that all people want to be recognized. As we go through life, our first choice is to be recognized positively. If that fails, our second choice is to be recognized negatively. This choice may not be ideal, but at least we are acknowledged. What no one wants is to not to be recognized at all. Why? Because if we are not noticed, we do not exist. We do not have an identity. Here at Identity, we start by truly seeing each young person we are privileged to serve. To learn more about Identity programs and services, visit What We Do. Identity collaborates and partners with a wide range of organizations and government agencies to bring expertise and unique perspectives as well as ethnically and culturally relevant programs to our program participants.